Are Nutritional Supplements The Key To Beauty, Gut Health & Mood Maintenance? I have long taken vitamins in whatever form they come – tablets, capsules, liquids, powders. If it’s touted to be good for me, there’s every chance I’ll swallow it. I have even been known to make a thick paste of turmeric and gulp it down, or spoonfuls of chilli powder, an entire ginger root chomped through and even garlic bulbs. I’m sort of the Bear Grylls of nutrition. When I was a teenager, I had really bad acne. There were days I wouldn’t go to school because my sister had stolen my makeup and I refused to go anywhere without covering up the spots as thoroughly as I could. To this day, I’m super fussy about my skin and if I even get the whisper of a spot, I change what I’m using immediately. At the moment, I’m using Formula 10.06, Medik8 Vitamin C serum, Gernetic and Kryolan makeup. All of these are doing wonders for my skin and none of them will break the bank. I’m also undergoing laser for pigmentation caused by sun damage (and I had a skin check last week to make sure none of my freckles warrants concern). Back to nutrition though. There’s every reason to believe that clear, radiant skin begins with gut health. Mood and brain function are also related to the gut flora and so is your overall energy. What you eat affects it, but also HOW you eat and your overall lifestyle. Under pressure, I can eat too much and too quickly. This is bloating and makes me feel lethargic and crappy. No matter how many superfoods you eat or how perfectly you’ve calculated your macronutrient intake, if you feel guilty or afraid of food, you eat that guilt and shame and that affects your guts and your mood too. So, this is a holistic approach that you must take if you want to feel good, look good, and know you’re functioning in a way that this short life is lived with full energy and joy. Coming up in May 2019, Melbourne Museum has a show devoted to gut health: Your Mind, Your Microbes. I’ve been taking supplements daily to improve my overall energy and especially since becoming vegan a year ago, I am mindful that my diet doesn’t always meet my protein requirements, or I overdo the vegetables and legumes and end up feeling bloated and blah. I’ve been taking a probiotic and also magnesium powder daily, as recommended by a naturopath at Natural Chemist. You can get a free health check and ask any questions via their online or phone chat with a naturopath. I’m also taking Arbonne powder supplements – pomegranate flavoured energy satchets are brilliant for the full spectrum of B vitamins and the magnesium/fibre supplement is great for calm, post-workout muscle maintenance and also improving sleep quality. Whether you need supplements or not is up to you. I’d rather take them and know I’m plugging any holes that my diet isn’t meeting but I have had a doctor tell me I’m essentially peeing out all my money. Each to their own. Keep in mind that there’s so much we don’t know about the brain, gut and the body as a whole though so only you can know if what you’re eating, drinking, swallowing and doing is making you feel fit, well and alive. If not, change. Send me an email or post on Twitter letting me know if you take supplements and what works for you. When it comes to the skin, it's important to remember this is the largest organ of the body. Like all our other organs, it is highly reactive and responsive to what we eat, our level of activity, stress levels and sleep quality. I've written before on the benefits of probiotics for your digestion. Not only do they improve vitamin and mineral absorption, they can be beneficial during and after antibiotic use to restore balance to the gut bacteria and also to support immune function during stressful periods. Good digestion and good immune function are also vital to radiant, healthy skin. You don't need to take probiotic supplements as a first call, but I find they're the most convenient option for me. If your diet naturally has fermented foods such as miso, sauerkraut, kombucha and yoghurt (not the nasty diet and fat free options!) then you're on the right track. Here's the foods you want and the skincare I'm using and that I swear by. Yes, it will cost a bit more than your supermarket shelf option, but it has higher concentration and high quality ingredients. You can afford to spend a little more on cleansers and specialist serums and go for cheaper moisturisers - but check that your moisturiser is non-comedogenic (doesn't block pores and cause blackheads). Alpha H is beloved in the beauty therapy world. For good reason. Their Vitamin C serum is a staple in my bathroom cabinet and while this is my first time using the Triple Action Cleanser, it leaves my skin feeling fresh, without the harshness of some deep cleansers. No prune face post washing! Find it at Facial Co.
Danne Montague-King is also a salon brand. 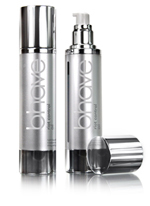 High quality, high potency products and I have been using them for years with great results. I am new to these ones and I am loving them. The Exoderma and Foamy Lift are used together for an enzyme peel. It's not vicious - you won't be left with peeling and redness, don't fear. It's a gentle peel for at-home use. The Beta Gel is packed with Vitamin B and C for acne and blemish prone skin. I use it when my skin decides to have a spotty turn - it usually happens when I get stressed or underslept. Or both. DMK is only available at skin clinics - find your closest one on the DMK Clinic Locator. And book a facial - because life is short and facials are awesome. Skinceuticals were recommended to me by a cosmetic skin specialist AND several beauty therapists. It is highly rated in the skincare and beauty world for good reason - I am a dedicated Vitamin C devotee and if you haven't used Skinceuticals, you really must. I have been using medik8 Retinol 10TR, which is high strength and my skin needs a bit of a break and a reboost so in the few days between applying retinol, I'm applying daily Skinceuticals CE Ferulic. Find both Skinceuticals AND medik8 at Skincare Store. I noticed in the months after my hip surgery in September 2014 that my hair was splitting at the ends and felt less full than ever. I've never been Kim Kardashian in the hair department - don't get me wrong - because having naturally wavy, curly hair means inevitably frizz and dryness are two concepts I know well. Scalp specialists and hair professionals both attest that stress, trauma and environment are key factors in the condition of the hair and scalp. Using chemical-laden products and heat styling only make a bad situation a zillion times worse. The stress of knowing I would be out of work and also worried I might never do the more flexible yoga poses or the fully weighted squats I love built in the weeks leading up to surgery (I had planned it a year in advance). During recovery there was the stress of finding a new home, arranging to move, seeing family I don't normally see and having to accustom myself to crutches. It's been almost a year and a half now and I am doing plenty of squats (heavier than before) and plenty of yoga poses (better than ever). My hair has still not fully recovered though. I have a plan of action, of course. 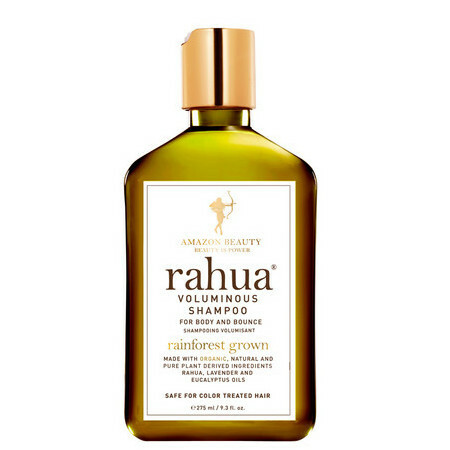 I will be setting aside the usual shampoo and conditioner and using non-toxic, 100% organic Rahua shampoo ($42.95 at Nourished Life) and conditioner ($43.95 at Nourished Life). I will also be avoiding over-use of the straighteners. That's going to be tough but I am determined! I've also invested in six months of Maximum Strength Viviscal supplements ($179 for 3 month supply). Now, I am sceptical of supplements but I also know I see much clearer skin and have better energy when I take Fish Oil capsules and I have also noticed much more stable energy levels and better digestion when I take probiotics. Viviscal regularly does clinical trials and have dermatologist approval and advocacy. There's nothing toxic or completely alien in their ingredients either. Based on marine extracts, the supplement is actually inspired by the Inuits - apparently they have richly luscious thick hair as a result of their fish and seafood based diets. So. Bring on the Viviscal maximum strength supplements daily, non-toxic hair products and a major serve of lobster. Stat. As a green tea lover of many years, I know of the reported benefits: high in antioxidants, energy boosting, appetite stabilising (no riding the serious ups and downs of coffee! ), but matcha green tea is a new beast. Entirely more intense than your standard green tea. Matcha is touted as being the anti ageing ingredient the Japanese have been indulging in for centuries. American, UK and Australian holistic health practitioners are raving about its benefits and while it isn't going to cure cancer or immediately see you drop 2 dress sizes, it DOES have research to back up some serious health and fitness benefits. 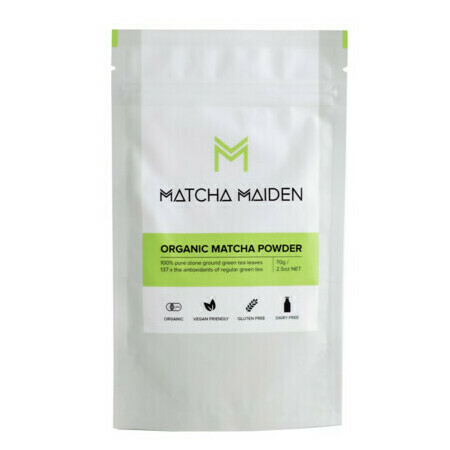 The vital ingredient in matcha is a substance called EGCC (epigallo-catechin gallate), which has shown weight loss benefits in numerous studies. The greener the powder, the higher the quality of the tea. While EGCC has been shown to prevent the growth of new fat cells and to aid in weight loss, this is only of benefit as part of a healthy regime of eating and exercise overall. You can't drink matcha while you're gobbling KFC and expect miracles. Try replacing your second coffee, or your afternoon Diet Coke with matcha to avoid the jittery caffeine effect. A great post-workout beverage as well - stabilising your energy and appetite before your next meal. I read today that LeAnn Rimes downs 40 supplement pills a day. I feel extraordinarily tame in comparison. I have staple supplements that I stick to on a regular basis, and then there are supplements I will take for particular times when I know my diet or my health require the extra boost. Magnesium is a staple. Not only is it vital for muscle recovery, but it also calms the nerves and aids in sleep. It is a vital ingredient in calcium absorption so to ensure your bones, muscle and nervous system are all in top shape, you want to be getting sufficient magnesium. 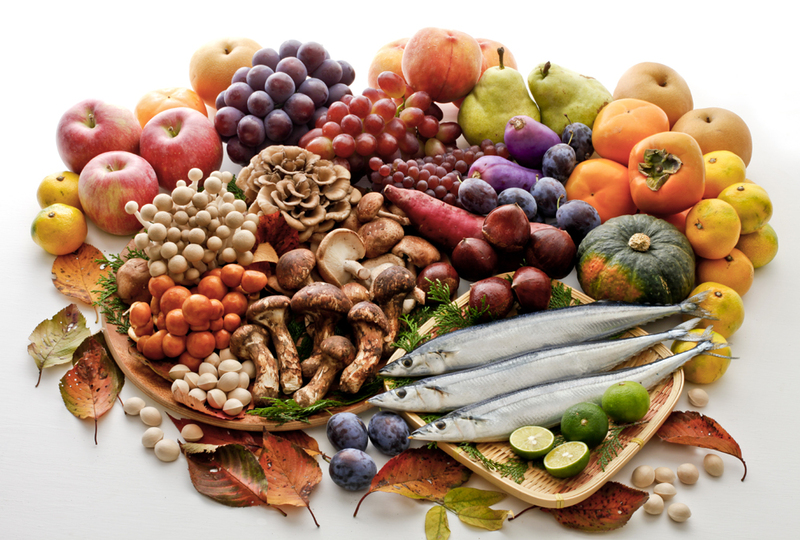 It is estimated that approximately 80% of adults don't get the Recommended Daily Intake (RDI) of magnesium. Wholegrains, spinach, nuts and legumes are magnesium-rich but no food is especially high in magnesium .The rise of paleo and high-protein diets are also seeing imbalanced diet contribute to lack of vitamins and minerals in adults. I can't spoon-feed you potatoes and almonds, but I can recommend that if you're not eating these foods daily as well as calcium rich greens and dairy, you source a high quality magnesium supplement. My choice is the bioavailable, marine-sourced magnesium in lifestream Natural Magnesium ($24.95). Because it's in powder form, you can add it to smoothies or take smaller or larger doses depending on requirements. I'm also a big fan of supplements that support digestive health. I take probiotics, which I've featured previously, and I also take Vitamin B and when my gut needs some TLC after I've been particularly ill or even just indulgent, I'll drink aloe vera juice or chlorophyll (beware the green tongue!). I like a spirulina or supergreens supplement too - but I tend to do this when I'm especially busy and need the extra immune support. Check out Planet Health for stockists. So - admission. For the past month or so I've had an itchy scalp and the dreaded D word: dandruff. I know I'm far from alone! In fact, it's pretty common for sporty or active types because sweating into your hair doesn't make for a healthy scalp and using dry shampoo instead of washing doesn't improve the situation. I have just discovered a new range of Australian Made products. I wanted no nasties (formaldehyde, sulphates,parabens, etc) and salon-quality results. What is especially exciting is it's AUSTRALIAN! So, go local! bhave uses raw natural bioactive keratin extracted from New Zealand sheep wool that is rich in amino acids and proteins to nourish the scalp and hair. Essentially, this binds to damage and rebuilds strength and elasticity. I'm using the damage control rescue shampoo and conditioner as well as the scalp shampoo and since the FIRST WASH, no dandruff and no itching! 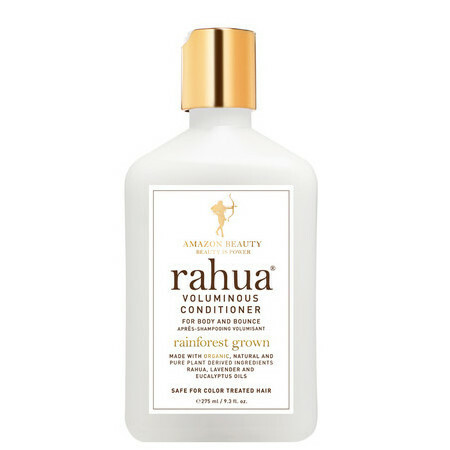 It's specifically designed to control irritation and the non-toxic formulation is rich in naturally active ingredients to rebalance the scalp environment. I'm also using the macadamia-oil enriched leave-in creme, fresh ends and riot control oil. It's called "riot control" for frizzy hair. What more could you ask for? Find your nearest salon and read more on their Website. I was saying to my Carlton class just a few days ago, I used to idolise the sleek, straight, raven black bob of a newsreader on TV as a child. I was certain that I would grow up and no longer have wild, curly, coppery brown tresses but a sleek, chic bob with a fringe. A perfectly straight, no-nonsense fringe. That is still my dream. So, of course, I am a straightener addict. Cool Shot to set style when you're done! You can buy it at Harvey Norman for $27 (AU). I am thrilled with how clear and glowing my skin is looking at the moment! So I had to share my current regime with you. Nothing super complex or fancy about it - just what works for me.